Our payroll process has been developed in house with speed and accuracy in mind. We strive to produce accurate and timely payrolls. Our HR services manage your employee information effortlessly! We handle wage compliance, policy handbooks, 401k plans, and more. From paperless enrollment, to Cobra and everything in between including ACA compliance, our benefit solution is second to none! We help you manage your Workers Comp policy, from application to managing premiums, claims, certs, and preparing for audits. TBM is a Professional Employment Organization (PEO). 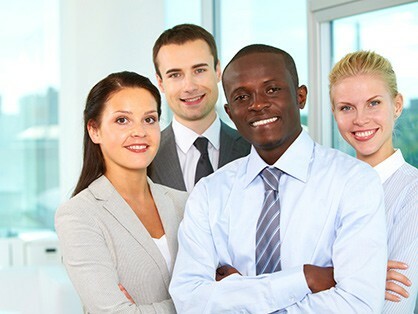 We contract with businesses to administer employee services required by Federal, state and local government agencies as well as other services such as payroll, Benefits, Workers’ Compensation management, Unemployment management and Human Resource support. TBM's clients serve as the managing employer and are responsible for the management of activities at the client worksite. TBM serves as the administrative employer. Together as “co employers” we work to maintain agency compliance and regulation so you can focus your attention to your core business. TBM was founded in 1993. We are located in Glens Falls, New York, which is about 50 miles north of Albany. We pride ourselves in being a small locally owned business who competes well with the larger publicly owned companies. Our mission is to free our clients of the burden and cost associated with employee/employer related paperwork, benefits and agency compliance. TBM clients can devote more of their time, energy and effort into their business instead of employee administration. We have helped hundreds of small to large businesses become more efficient, more profitable, and more competitive while actually saving them money on their administrative tasks.